Protect Evidence After a Negligent Security Attack | Hupy and Abraham, S.C.
You know what happened. The images of your attack may be clear in your head, but in order to prove that a property owner’s negligence caused your injuries you are going to have to present evidence during settlement negotiations or in court. Video surveillance footage. If the video is not erased before you and your attorney have a chance to review it, then it could provide useful information that can help you recover fair damages for your injuries. Not only may the video help identify who attacked you, but it could also provide evidence about the security that was present, or not, on the property at time that you were attacked. If you think that there was video taken on the property at the time of your attack, then you should act immediately to prevent it from being deleted. You may need to make the request formally through the discovery process in order to preserve the evidence. Property maintenance records. This can help determine if there was adequate and working lighting, fencing, and other security measures in place on the property at the time of the accident. 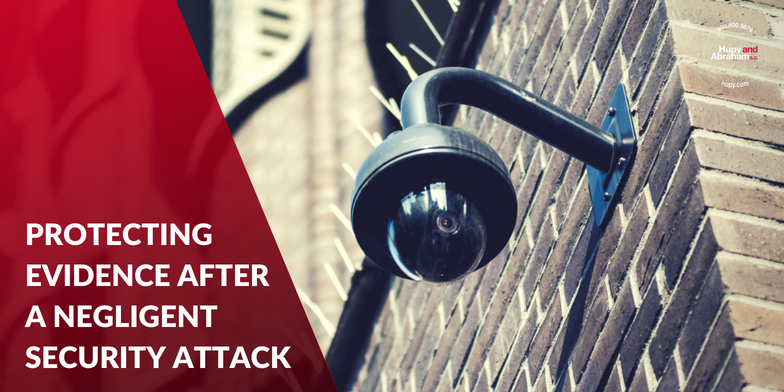 If any reasonable security measure was missing or malfunctioning, then the property maintenance records can also help determine if the property owner knew or should have known about the problem. Security guard or employee logs. These logs can help determine who was on duty at the time of your attack. Security guard or employee hiring information. The hiring information may help determine the qualifications of the security guard or other employee who was on duty at the time of your attack. Eyewitness testimony. Witnesses may have noticed things about the property or the security on the property that are relevant to your claim. Documentation of prior criminal activity on the property. This documentation may help prove that the property owner knew, or should have known, about the potential danger of a criminal attack. Photographs. Photos taken around the time of the attack can help establish what security measures were, or were not, in place at the time you were hurt. Many negligent security cases do not have all of the evidence described above. However, you should take steps to gather and protect as much relevant evidence as you can so that you can build a strong negligent security case. For more information about how negligent security cases work, please read our FREE report, Negligent Security: What You Need to Know About It, and start a live chat with us today.